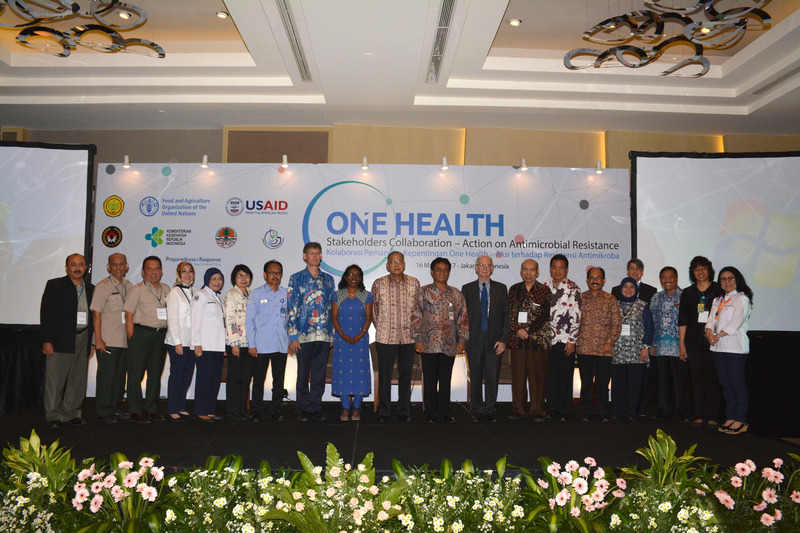 Indonesia has confirmed its commitment to advance One Health collaboration, with five ministries issuing a joint communique recently on the implementation of One Health in the country, to respond to emerging disease threats and address global health challenges including Antimicrobial Resistance (AMR). 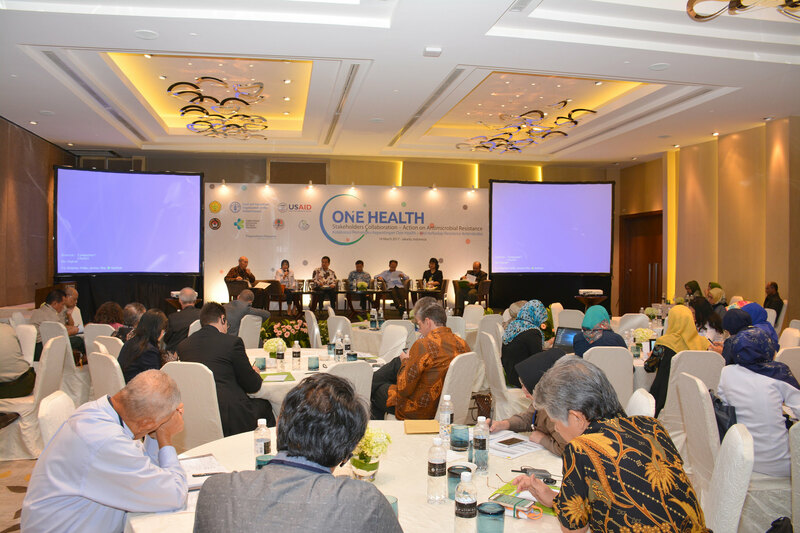 Gathered during the seminar on “One Health Stakeholders Collaboration – Action on Antimicrobial Resistance” held by FAO Indonesia in Jakarta on 16 March 2017, the Ministry of Agriculture (MOA), the Ministry of Health (MOH), the Ministry of Environment and Forestry (MOEF), the Ministry of Marine Affairs and Fisheries (MMAF), and the Coordinating Ministry of Human Development and Culture (Kemenko PMK) recognised that health security is a shared responsibility that cannot be achieved by a single actor or sector of government. “The One Health approach leverages the idea that problems impacting the health of humans, animals, and the environment can only be solved by working together across sectors. 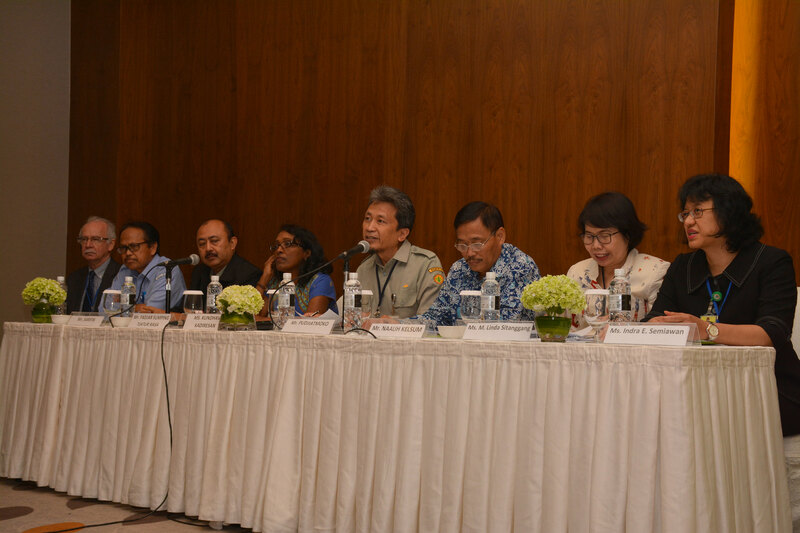 This recognises our interdependence and connectivity, and requires improved stakeholder communication, cooperation, and collaboration across disciplines and institutions, which ultimately will lead to sustainable public health and wellbeing,” said Naalih Kelsum, Deputy Assistant for Health Improvement Coordination, Kemenko PMK, reading out the joint communique before the press, accompanied by high-level officials from four other ministries. “The multi-sectoral development of the Indonesia AMR National Action Plan, technically led by the Ministry of Health, but with strong inter-sectoral inputs from the Ministry of Agriculture, the Ministry of Environment and Forestry and the Ministry of Marine Affairs and Fisheries is a good example of how the different sectors can work together under the One Health umbrella to address health threats,” he added. Improve the sharing of information across technical areas at all levels to promote transparent reporting and inter-sectoral data sharing for the prevention of public health events of international concern. “FAO is fully committed to the One Health approach and is presently developing a regional initiative on One Health, expanding its scope from addressing emerging and endemic zoonoses, AMR and food safety issues to exploring ways to best address the linkages of animals, plants and the environment to human health and wellbeing as well as trade”, Kadiresan said. In collaboration with the Directorate General of Livestock and Animal Health Services (DGLAHS) at the MOA, FAO Emergency Centre for Transboundary Animal Diseases (ECTAD) Indonesia has implemented since 2016 One Health-related activities under the Emerging Pandemic Threats Phase Two (EPT-2) Programme, which is funded by USAID. Brian McFeeters, Deputy Chief of Mission at the US Embassy in Indonesia said that the joint communique was an important milestone. “Indonesia’s AMR National Action Plan, which will be submitted to the World Health Assembly this May, is not only a clear and important step in demonstrating the importance of multi-sectoral collaboration but also a model to other countries grappling with these same issues. You are to be congratulated for your approach and leadership on this National Action Plan,” McFeeters said in his keynote speech.